Facebook Messenger is receiving a few updates in the upcoming weeks, as the social network tries to offer more variety on the platform. The updates include a new message request system that will replace the Other folder, and live sports updates. The message request system is the most important update, as it scraps the Other folder that stored messages from people that weren’t your friends. Instead of locking those people away, you will instead see a message request icon when someone is trying to get in contact but isn’t a friend. It sacrifices some of the privacy for more openness, letting people get in contact with you while still providing controls to the recipient. This should open up more opportunities for people to get in contact with you, for example, if you lose your wallet or smartphone. Message request will also remove the barrier for long-lost relatives and friends that want to get in touch. Instead of being thrown into an unread folder, the user will be able to check the message, see the name of the sender, and either reply or block. 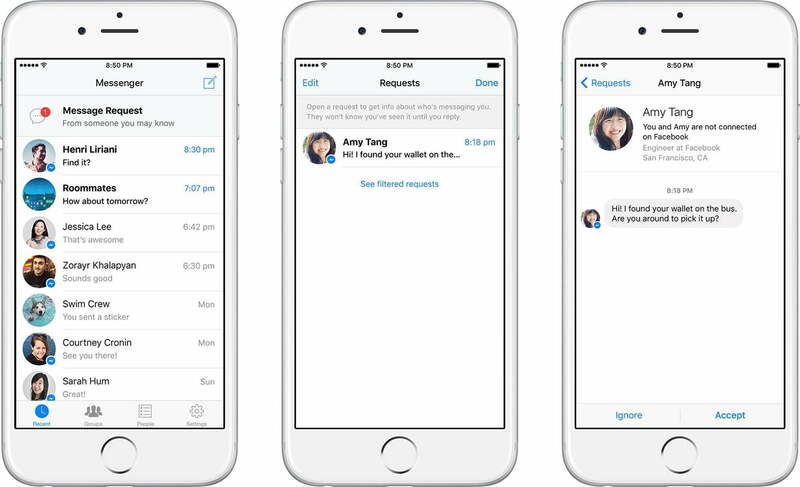 On the business side, message requests may be used to let businesses contact customers. Facebook is testing this function in private beta, which would allow consumers to offer feedback, speak to customer service, and have a direct connection to a business. Facebook plans to block spammers that continue to message you, by muting any accounts created by the same person. Unlike a phone number, which can be changed, Facebook has unique controls to make sure the same person cannot contact you twice. 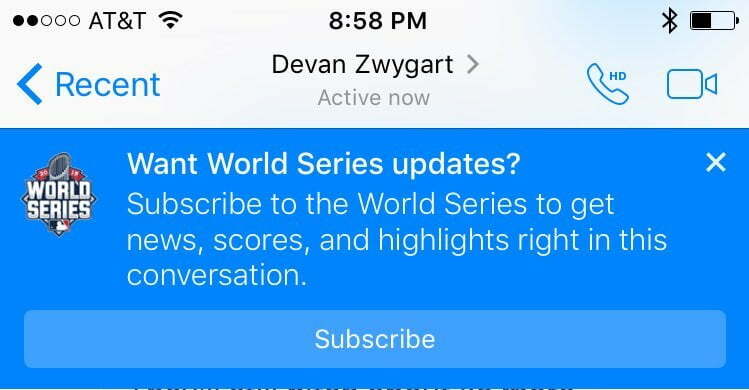 The next update adds live sports updates to Messenger. Fans of the NBA, NFL, or NHL will be able to subscribe to an automatic messaging service, which will provide news, scores, and highlights on Messenger. The service will be available in group chat, letting fans of a certain team or sport congregate and talk about the game. The message requests update will rollout worldwide in the next few months, but the live sports updates have no current release date.